→ Daredevil (1°) #2 (06/64) The Evil Menace Of Electro! → Daredevil (1°) #3 (08/64) The Owl, Ominous Overlord Of Crime! → Daredevil (1°) #4 (10/64) Menaced By The Mystery Of Killgrave, The Unbelievable Purple Man! → Daredevil (1°) #5 (12/64) The Mysterious Masked Matador! → Daredevil (1°) #6 (02/65) Trapped By... The Fellowship Of Fear! → Daredevil (1°) #7 (1) (04/65) In Mortal Combat With... Sub-Mariner! → Daredevil (1°) #8 (06/65) The Stiltman Cometh! → Daredevil (1°) #9 (08/65) That He May See! → Daredevil (1°) #10 (10/65) While The City Sleeps! 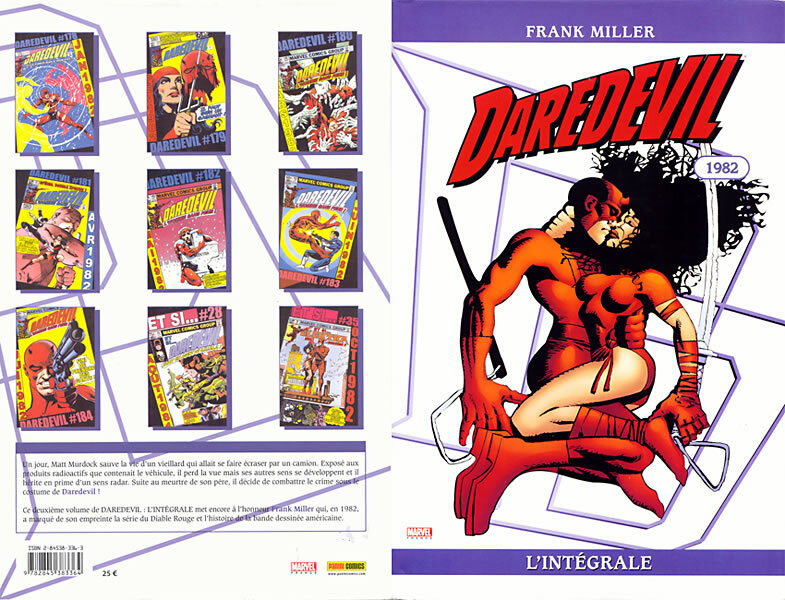 → Daredevil (1°) #11 (12/65) A Time To Unmask! → Daredevil (1°) #12 (01/66) Sigthless, In A Savage Land! → Daredevil (1°) #13 (02/66) The Secret Of Ka-Zar's Origin! → Daredevil (1°) #14 (03/66) If This Be Justice...! → Daredevil (1°) #15 (04/66) And Men Shall Call Him... Ox! → Daredevil (1°) #17 (06/66) None Are So Blind...! → Daredevil (1°) #18 (07/66) There Shall Come A Gladiator! → Daredevil (1°) #19 (08/66) Alone... Against The Underworld! → Daredevil (1°) #20 (09/66) The Verdict Is Death! → Daredevil (1°) #22 (11/66) The Tri-Man Lives! 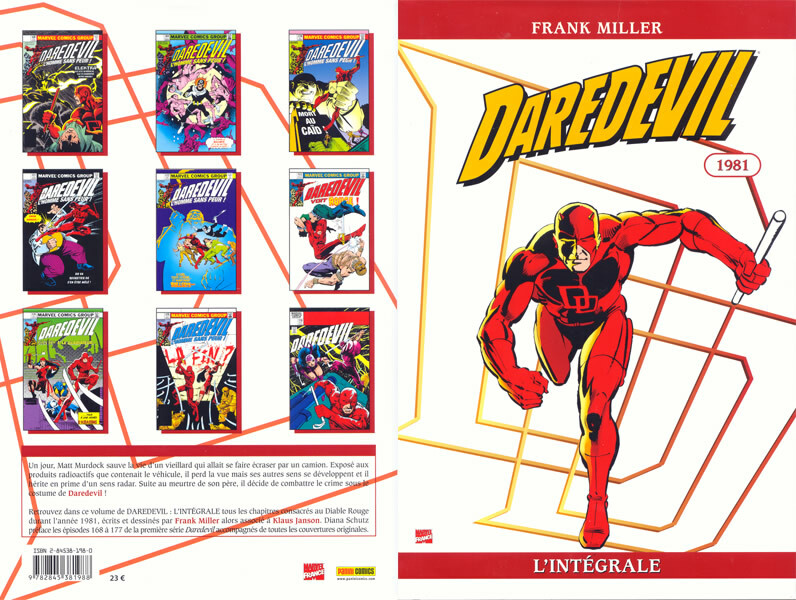 → Daredevil (1°) #23 (12/66) DD Goes Wild! → Daredevil (1°) #170 (05/81) The Kingpin Must Die! → Daredevil (1°) #172 (07/81) Gang War! → Daredevil (1°) #175 (10/81) Gantlet! → Daredevil (1°) #179 (02/82) Spiked! → Daredevil (1°) #184 (07/82) Good Guys Wear Red! → Marvel Team-Up (1°) Annual #4 (1981) Spider-Man, Moon Knight, Iron Fist, Power Man And Daredevil - Power Play!